The Grateful Dead were at one point and time the biggest band in North America. The group toured endlessly and had a huge fanbase that would never tire of following them. The band before Jerry Garcia's death was one of the top grossing music acts in the country and still remain one of the largest grossing bands of all time. The Grateful Dead and Jerry Garcia touched millions and now Garcia's story is coming to the bigscreen. Albert Berger, Ron Yerxa and Eric Eisner have aquired the rights to "Dark Star," a oral history of Jerry Garcia told from dozens of people who were close to him. The un-titled film will focus on Garcia's early life leading up to the time he met Phil Lesh and formed the Grateful Dead. The life of Jerry Garcia will be told similairly to the likes of Johnny Cash or Ray Charles who stories have also been adapted for screen. THR reports that Topper Lilien has been hired to pen the script that will focus on Garcia's younger years in which he lost a portion of his middle finger, saw the death of his father and his mother re-married, was introduced to rock n' roll and marijuana, even a short stint in the military as a punishment for stealing his mother's car, a friendship that would eventaully develop into the Grateful Dead and some of Garcia's other side projects with Robert Hunter and Phil Lesh. The idea of a Jerry Garcia film really is inticing, but I would like to see more of a development of Garcia's later years with the Grateful Dead. 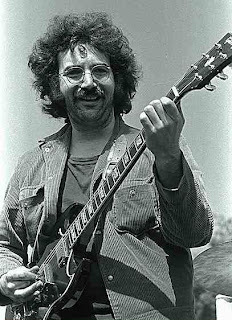 Regardless, being a huge dead head, I couldn't be more happy that a Jerry Garcia biopic will be happening soon. I have read "Dark Star" by Robert Greenfield and it should make for a really great film.